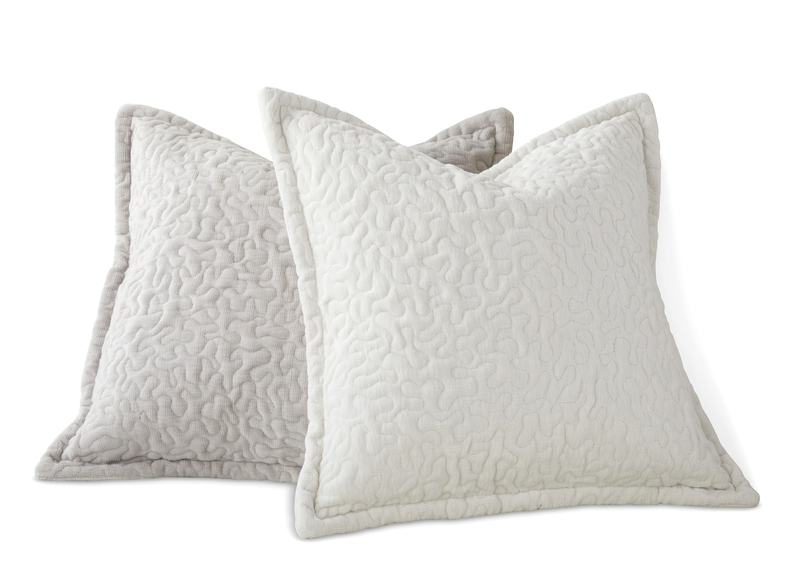 With updated fabric and styling, our Luna Collection honors the long-standing tradition of hand quilting. Superbly executed, this freehand machine stitched pattern is impressively unique. Fluid and meandering, Luna's hand manipulated stitch detail never crosses, creating a mesmerizingly elegant design. Available in our Lancaster Rough Velvets. Shown in Star White (front), and Moonbeam (back), with 1"self-flange detail.